The infamous Spanish holiday hotspot of Magaluf is making good progress as a major regeneration project continues to transform the area into a more family-friendly destination. In November 2015, Spanish hotel group Meliá Hotels International, the Palmanove-Magaluf Hotel Association and Calvia Town Hall pledged to transform the area of Magaluf through a collaborative five-year regeneration plan. Two years on, the destination is making headway in achieving its five key objectives, with the Palmanove-Magaluf Hotel Association revealing its summer season results and a summary of how investment in the area is starting to have an impact. The quality of hotels in Magaluf has continued to improve, with 60 per cent ranked as four or five-star properties and a total of 30,000 beds now available. Average per room, per night prices have also increased in line with the investment in hotel facilities to ensure a high-quality product. Total overnight stays increased by 4.4 per cent to almost 5.5 million in 2017, compared to 2016. The increase in stays can also be attributed in part to the opening of Magaluf’s first five-star property, VIVA Zafiro hotel, and the renovations of Meliá Calvia Beach and Sol Beach House Mallorca. The transformation of Magaluf is particularly apparent when looking at the shift in customer segmentation, which demonstrates a change in the area’s tourism model, affected by investment in high quality facilities and customer safety making it more attractive as a family holiday destination. Family and adult couples have continued to dominate the customer segment, representing 70 per cent of guest numbers – an increase of 13 per cent compared to 2013. Young people, associated with Magaluf’s nightlife culture, now only represent 22 per cent of the area’s overall visitors – a decrease of 7 per cent compared to 2013 figures. The UK has maintained its position as the primary tourist market, representing 22 per cent of all travellers to Mallorca, (48 per cent of Palmanove and Magaluf), followed closely by the Spanish and Scandinavians, with other European markets representing 33 per cent of all visitors. Total numbers of British tourists increased by one per cent compared to 2016, totalling 167,316 hotel stays, in spite of Brexit. Extending Magaluf’s season to a nine-month period, March to November, is one of the key objectives in the destination’s five-year plan. End of season results shows that hotel occupancy between June and September was consistent with the previous year, peaking at 91 per cent in August, and reaching 86 per cent in June, 88 per cent in July and 87 per cent in September. However, October saw growth of more than three per cent, with almost 60 per cent of hotels remaining open at the end of the season. 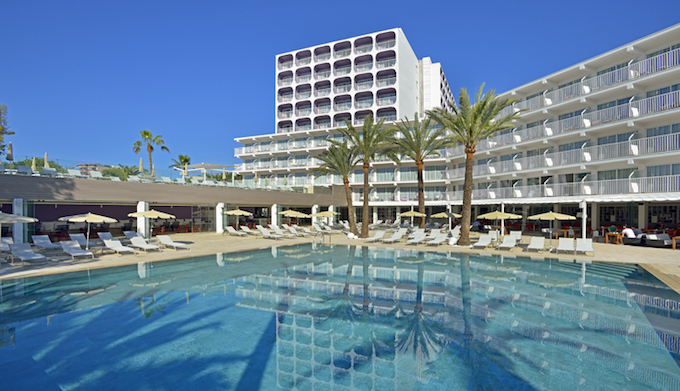 Within its portfolio in Magaluf, Meliá Hotels International has opened nearly 2,000 square metres of meeting and congress space that has supported the extension of the season, as well as attracting more affluent clientele and business people to the destination. Increased security, public order and the overall reputation of the area remains a priority. In 2016, The Palmanove-Magaluf Hotel Association, Calvia Town Hall and the Balearic Islands Civil Guard introduced a zero tolerance policy towards anti-social behaviour and crime, which signalled a turning point for the resort. The regulations prohibited drinking alcohol in the streets and imposed minimum dress requirements in public spaces. This year, the partnership between local government and the police force has continued to increase controls and the enforcement of regulations in Magaluf, with an upweight in street night patrols on Punta Ballena during the high season. Figures for crime, drunkenness and other public order issues continue to fall. Hotels also implemented a zero tolerance policy, and the number of guests expelled from hotels for bad behaviour in 2017 was 156 – 20 per cent less than the previous year and alcohol-related incidents, such as balcony jumping, decreased by 82 per cent in 2017, compared to 2015. Meliá Hotels International has invested more than €200 million in the refurbishment of its properties in the area to support the wider regeneration of Magaluf. This year Palmanova-Magaluf has continued to promote higher quality complementary facilities to attract more affluent visitors to the destination. In Summer 2018, Meliá will launch a new state-of-the-art shopping mall, offering underground car parking space in the centre of Magaluf, as well as introducing a new hotel – Sol House Calvia Beach – overlooking the beachfront, replacing the previously demolished Jamaica Hotel. Meliá has made the largest private investment of €45 million and the launch will mark the next phase in the repositioning of the destination, offering 5,000m2 of retail, food and beverage outlets and terraces to further enhance the profitability of the Magaluf tourism industry. Local authorities have continued to improve transport to the destination and sports facilities, with plans to invest €3 million in 2017-18 in urban improvements, including restructuring and improving Galeón Street, Paris Street at the crossing with Hermanos Pinzón Street, and Martin Ros Garcia Street, as well as enhancing the sports infrastructure such as the Magaluf athletics track. 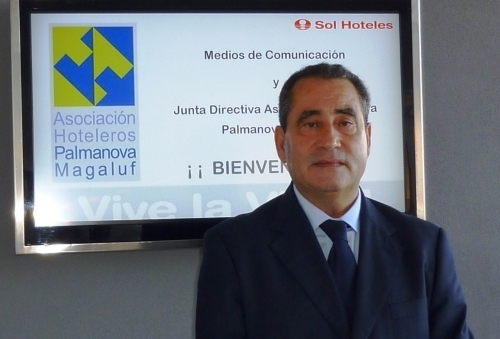 Sebastián Darder, president of Palmanove-Magaluf Hotel Association, said: “The destination aims to continue consolidating new quality product and the new customer segmentation, which has allowed us to increase occupancy, profitability, and the social and economic sustainability of Magaluf, as well as continuing to improve the reputation of the destination among adult travellers and families.